LA LUXE PARIS is an exclusive brand derives from the best cosmetics traditions, was designed with a view to dynamic women, open for innovation, appreciating luxury and percestly oriented in trends. La Luxe Paris states folding promise to consuments, inviting them to luxurious cosmetics world and the best quality. In an offer of the brand can be found the series of specialized skin care cosmetics for face, body and hands, and also the products to make-up, which show skin care characteristics too. 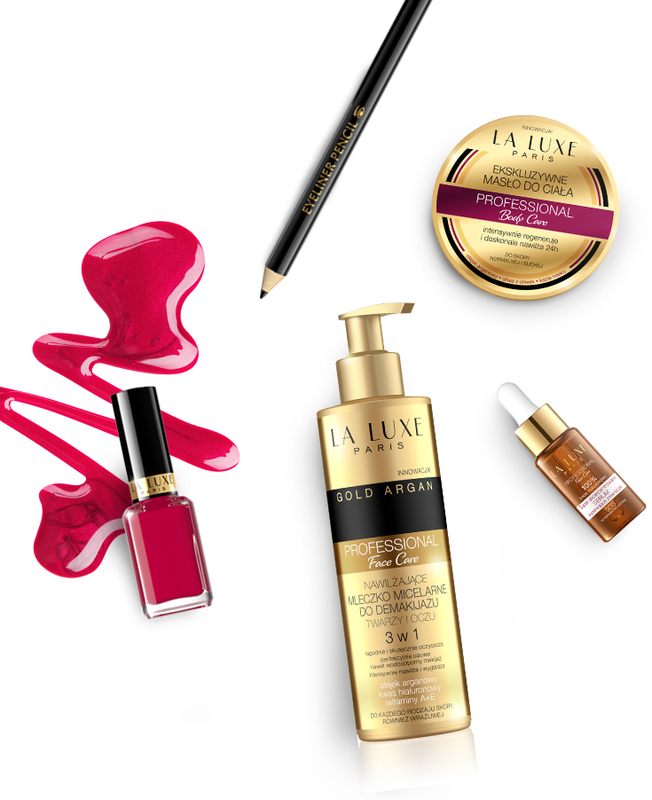 The products LA LUXE PARIS do not contain preservatives which extend life of cosmetics, silicons and artificial colors, and what is the most important the application confirm sever dermatological tests. The complextion action of the forumlas and rejuvenate programs fit to specific skin needs and age groups, work out in laboratories on the base of the most advanced technologies. For cosmetics glamour LA LUXE PARIS contains their quality and competitive price. For the moment of premiere in polish market, this global trend consequently has gained the trust of a growing group of clients, offering innovative products connective luxury of application with the highest efficacy of action. The mission of the brand is to deliver carefully composed receipts pronounced unusual wealth of active ingredients, in answer to need of proffesional products with fate to daily care. The aim of the brand is to give each woman daily touch of luxury, in this way that she feels well-keep and beautiful everyday.